Home | Vinyl Siding Cost | How much does Gentek siding cost? 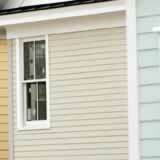 Gentek vinyl siding is noted for both its quality and variety. Here are some tips for finding out just how much you can expect to pay for Gentek home cladding. Quality. Gentek's ultra-premium-grade Sequoia Select is thicker, more fade-resistant, and of higher quality than the company's economy Aurora product, so it understandably costs more. Installation. Installation of vinyl siding costs typically costs more than its baseline materials. Expect to pay between $3 and $5 per square foot for installation. Removal services. The removal and disposal of your old siding requires an additional fee. Expect to pay between $0.50 and $1.50 per square foot for this service. Extras. Insulation or finishing touches, like fascia and soffit, can add to your final cost. Vinyl siding represents a valuable investment as your choice in cladding determines its protective, energy-efficiency and aesthetic properties. An ultra-premium Gentek vinyl siding costs more than a basic or economy-line product, but you should expect it to last longer and retain its color better. Note, however, that those living in temperate climates whose homes are not vulnerable to high winds, heat or cold can often fair well with midline or economy siding. In other words, to control your Gentek siding cost, find a product that meets your specifications but is not needlessly over the top. Contact a local Gentak contractor to learn more about what products are available to you.